Sit in on just about any business strategy meeting, and you’ll hear execs talking about determining customers’ pain points and how they can create products and services to alleviate that pain. In most instances, this “pain” is figurative, a metaphor for a business problem that needs to be solved. But for Ben Grabkowitz, the pain he experienced was real. As a software engineer, Ben spends most of his days working at a keyboard. “After struggling for years with wrist pain from carpal tunnel syndrome, I found the Microsoft Natural line of ergonomic keyboards. 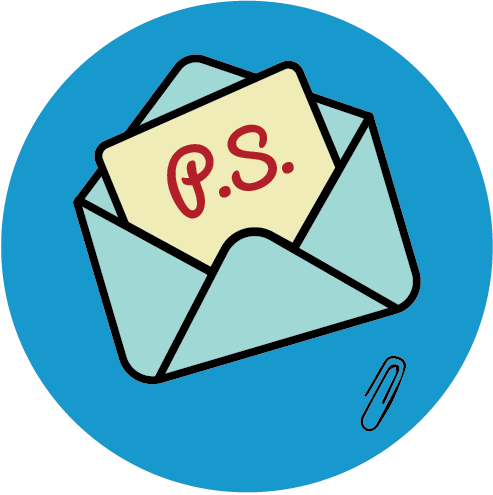 This alleviated my wrist pain, but there was something missing,” he explains. 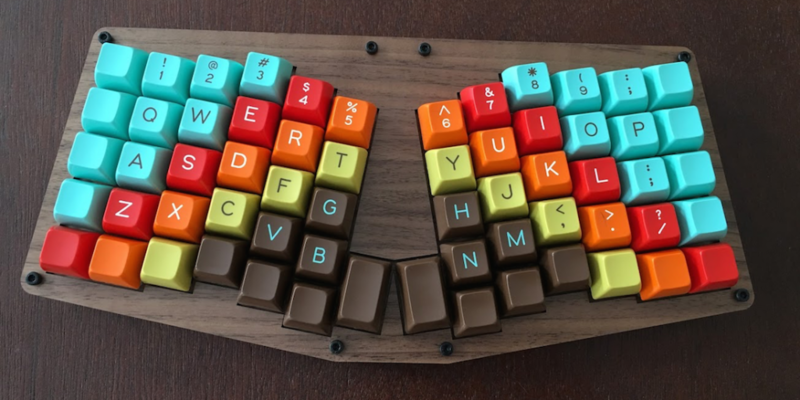 He began searching for alternatives online and found Ergodox, an open source ergonomic mechanical keyboard project that allows makers the freedom to modify and tweak the project as they see fit. 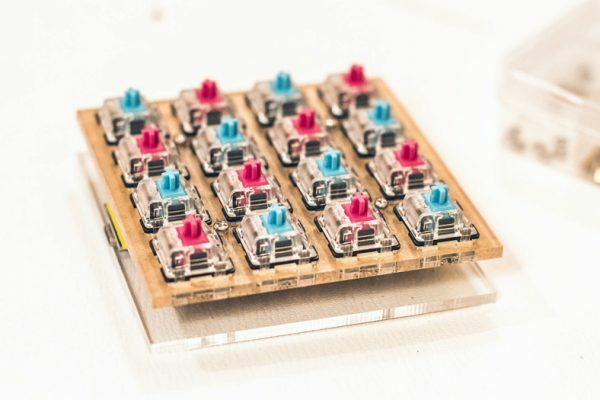 It uses 76-80 Cherry MX style mechanical switches (such as Cherry or Gateron) laid out in a columnar stagger (rather than the more conventional row stagger) layout with components that can easily be sourced. The keyboard is completely programmable and can be flashed with several different firmware options. What started out as a hobby has now turned into a full-blown side hustle. 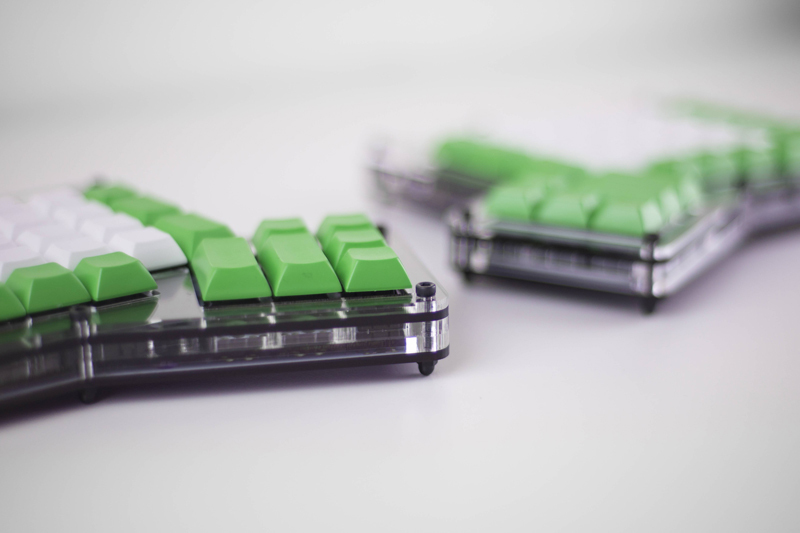 With Profet Keyboards, Ben now brings ergonomic mechanical keyboards to the masses through full builds, complete kits or simple cases for custom made keyboard projects. 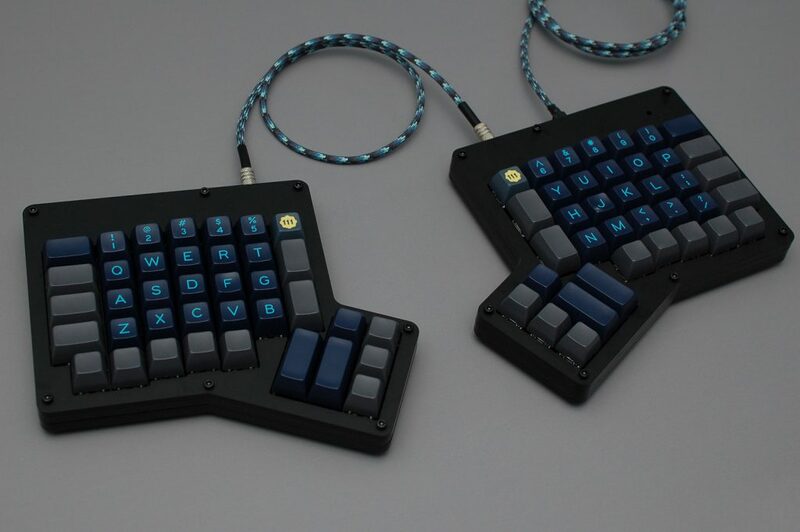 In addition to ErgoDox, Ben has expanded his line of keyboards to include the Atreus, a small ergonomic mechanical keyboard that is based around the shape of the human hand. It combines the comfort of a split ergonomic keyboard with the crisp key action of mechanical switches, all while fitting into a tiny profile. 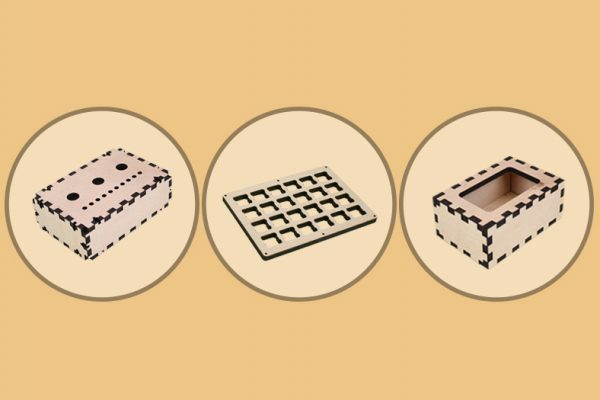 Ben first learned about laser cutting from the ErgoDox project and found Ponoko via Google. Initially, he was attracted to the easy quoting and ordering. “I really like the automated process,” he says. “It’s very easy to upload designs at 3 a.m. and buy instantly without waiting for a human to approve a design and give a quote. 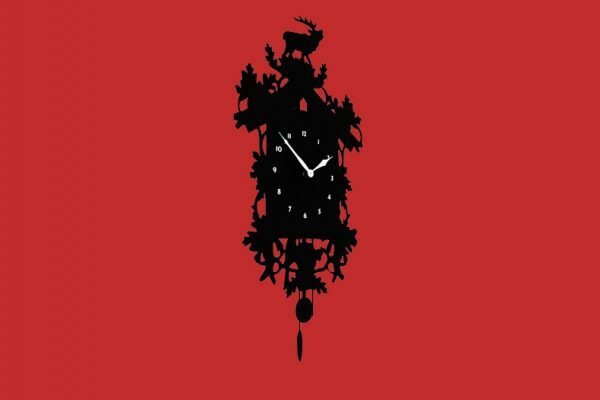 If I had to get custom quotes from a human every time I had a new design, it wouldn’t be worth my time to make my products. The challenge for any maker who wants to sell products is to identify a problem that needs a fix and isn’t being adequately addressed elsewhere. For Ben, he wanted a way to relieve his actual pain and the available solution—i.e. 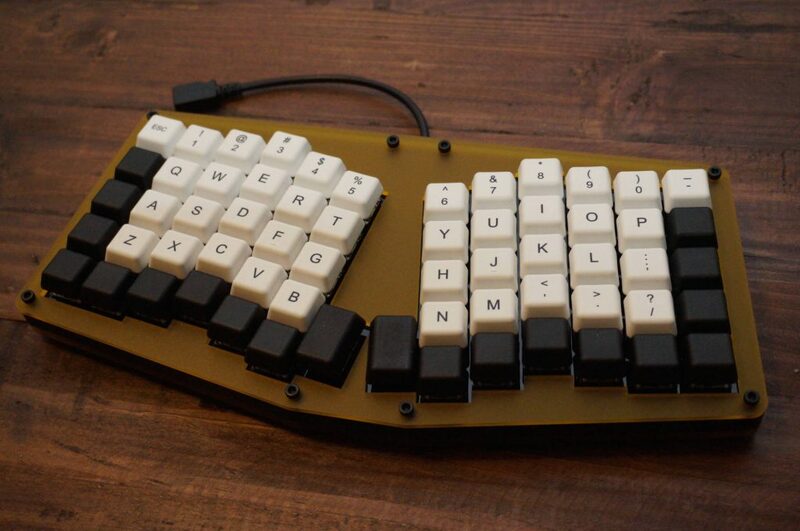 the other ergonomic mechanical keyboards on the market—just didn’t get the job done 100%. 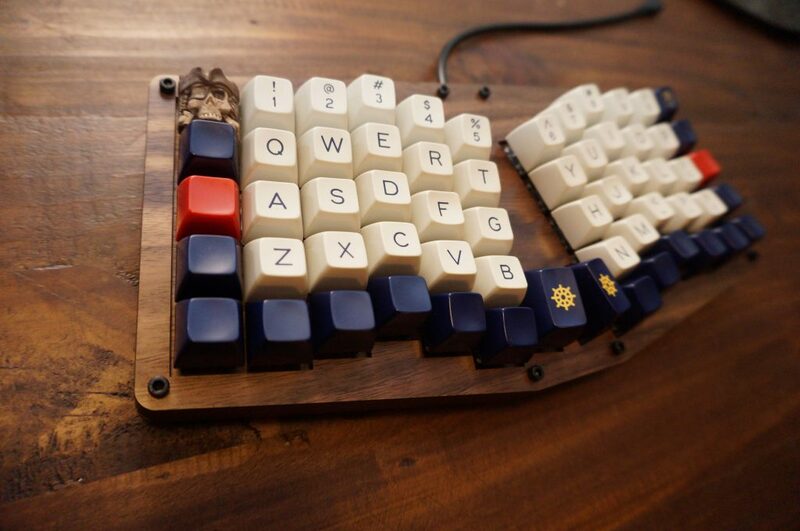 He was able to tap into an open source product that he could customize to meet his specific requirements as well as find a niche of DIY mechanical keyboard enthusiasts to not only be a support system but also a set of potential customers. If you’re currently selling your custom laser cut products or are considering it, think about how using laser cutting can solve everyday problems. Because when you can fix a problem, that’s when you can sell a product. Ask yourself what kind of pain (literal or figurative) your products can alleviate. Look for an already assembled community of people that could become your ideal buyers. There are all kinds of groups that are passionate about handmade products—anything from electronics enclosures to wedding decorations to robots—as well as supporting small businesspeople. This approach helped Ben find his niche and grow a business. And it can help you, too.